Have you ever wanted Tim Gross on your chest? Now you can!!! For $15 and while supplies last, we are offering up this very unique and one of a kind Grossfest T-shirt. It is a XL Black T-shirt with Tim Gross popping his head out of a toilet! We only have so many, so act now! 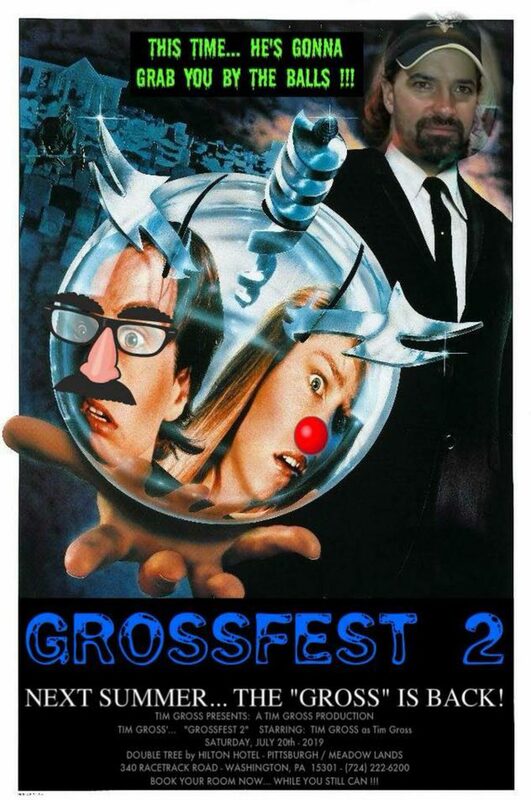 If interested email us at Grossfest@gmail.com!